I went to a house party to see a friend’s new flat last night, it is lovely and right by London Fields! So I am travelling over to my boyfriends today. 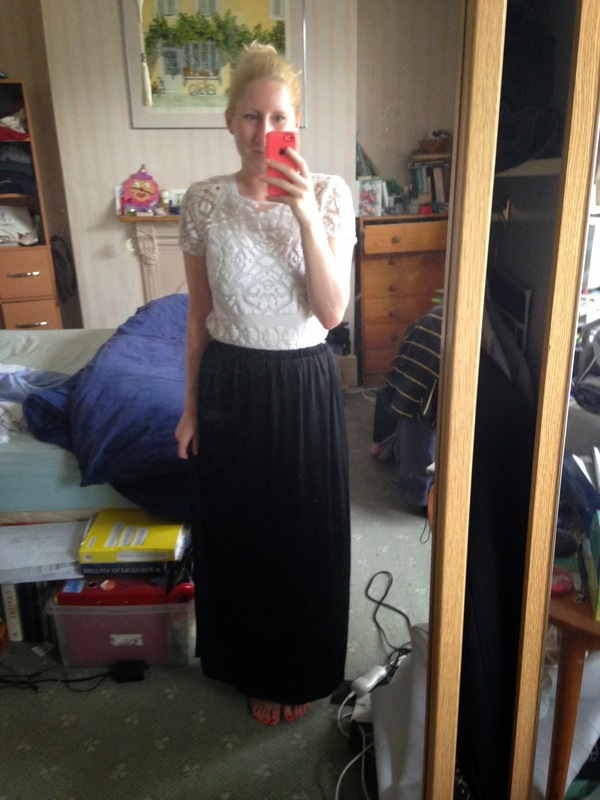 I haven’t been brave enough to wear this skirt to work yet, I don’t know why, but thought today would be a good time to give it an outing. 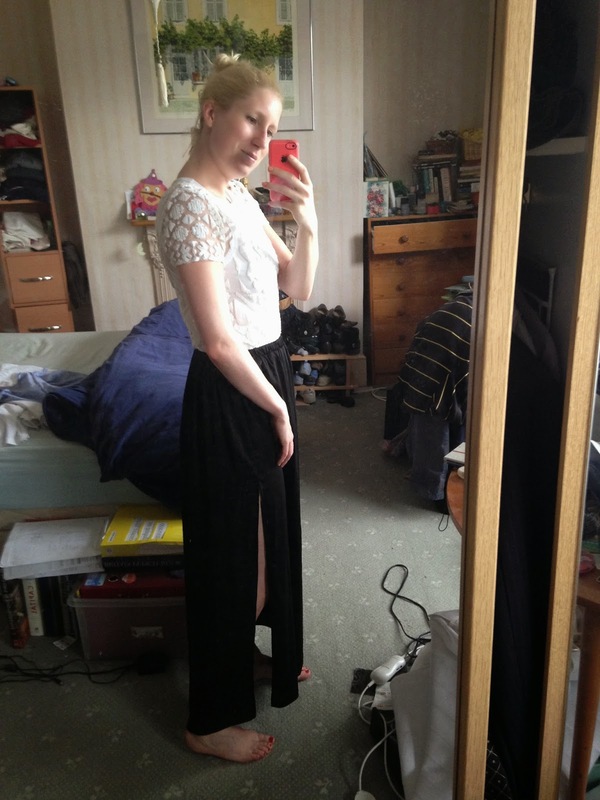 It is from … and I wore it with a basic Asos vest and my River Island tee along with my Steve Madden sandals. For hair I just shoved it all up into a bun which was lucky because it was windy!